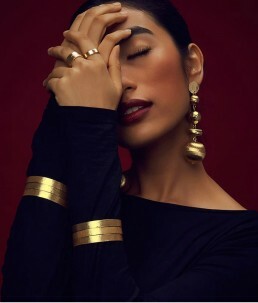 From generations of jewellers comes Bollywood’s go-to next-generation jewellery brand. Jewellery for a new generation. It’s quite telling that the founder of the brand of jewellery more than half of Bollywood swears by, comes from a long line of jewellers herself. 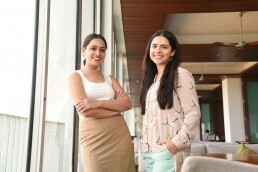 Shuchi Pandya was doing her MBA at Wharton, when she realised how she could translate her passion for jewellery into a unique and distinctive brand. Extensive research revealed that young women sought exclusive, but affordable jewellery that was versatile enough for different times of day, and a variety of occasions. These women didn’t seek out heavy gold jewellery, or precious stones, they were looking for a brand that fit well into their lives. Moreover, this was a newer generation, one that made decisions for themselves. When Shuchi returned to India, she built her business model, and launched the ever-fashionable Pipa+Bella online store. Shuchi says, “Our brand celebrates the women who are comfortable in who they are, what they wear, and most importantly what they believe,” and that’s a sentiment that rings true for her clientele. In an industry where branded jewellery accounts for just 20 percent of the overall market, launching fashion jewellery online was a brave move. But it also had the phones ringing in no time. Within weeks of launch, Katrina Kaif’s styling team called, and wanted to feature a Pipa+Bella bracelet in a movie promotion tour. It’s a trend that shows no sign of abating, as this brand has been seen worn by Parineeti Chopra, Alia Bhatt, Kareena Kapoor, Karishma Kapoor, Bipasha Basu, Priyanka Chopra, Kalki Koechlin, Shraddha Kapoor, Sonam Kapoor, and many, many others. The brand has also been evolving, with a newly launched section on Sterling Silver jewellery. Its commitment to customisation led to the introduction of Jewel Lab, a portal that allows jewellery to be customised and previewed. Perhaps the best indicator that Pipa+Bella understands the youth of today better than most other brands is its association with the massively popular web series, Adulting, in partnership with Filtercopy.